Soooo excited to bring this interview to you. I have known Tara Reed for a couple of years now. We’re both residents of the great Portland, Oregon, and we both help artists grow their art business. You’re going to want to watch this interview and take notes. 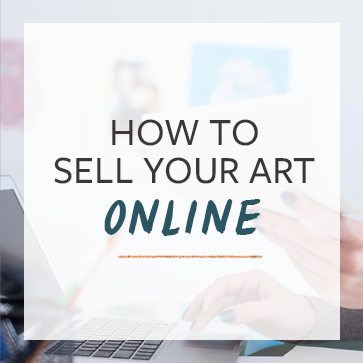 Tara gives a great overview of how to break into the art licensing market. Here are some tidbits from our discussion. Just need some contracts? Check out their agreement templates. You can look at it as unfortunate, or you can look at it as an opportunity to make a connection with a company and really partner with them. Thank you for the educational talk, I’ve always been interested in art licensing. One point of critique though, more on the technical side: I have no idea who’s computer it was, but could you next time please make sure facebook or whatever that bleep was is turned off? Having it sound through you guys talking was very distracting and a little annoying as the sound was pretty loud compared to your voices. Thanks Rengin – as this was a free, definitely not a “produced” video, there are a number of technical problems with it. That’s what you get when you do an interview on Skype. What a great, informative intro to art licensing. I would love to hear a second interview with Tara and/or other well-established licensed artists, on how they determine the artistic directions they go in, in order to satisfy the markets they are licensing to. Since art licensing often targets a larger market, (manufacturers, chain retailers, etc) what they create seems to be distinctly different from what sells in say, galleries, art fairs, or more traditional venues. It is often different artistically, but also in design and concept, and I’ve noticed that even spectacular, highly-skilled art is sometimes NOT licensable, for many reasons. I would love to hear the perspective of such experienced pros on this subject, certainly from Tara but others too! Hi Sarah – you can find out a ton more by visiting Tara’s site and by checking out the Ask calls that she mentions in the video. Excellent interview, Tara is very clear and gave great advice. Though art licensing is a big pie, so to speak, and should could only touch on a slice, I appreciate that she gave us ways to learn more. And Cory, thank you for your clarity and support of artists! Thanks for the kind words Laurie. Tara and I both appreciate it! Great YouTube video, useful info, friendly presentation and other links too. Great interview with lots of useful information. Thank you Cory for turning us on to Tara. I will be following her blog as I am always looking for possibilities to making money with my art. Thanks for caring Cory!! of course, and thanks for the kind words Dara! so interesting. thanks by share!! This was so informative. Thank you very much for this interview﻿ Cory and Tara. AHHH! I’m so glad Tara did this interview. Thank you! Very good info and a lot of stuff people want to avoid – but is so important for effective business. And on that whole thing (how long does it take to make money) was especially important. I don’t think we give enough weight to the business part of things and without it, you cannot succeed. Awesome info!!!! Thanks for sharing this. What a great interview. There are so many avenues to selling one’s art that it gives me hope for the future. I just found this post. Thank you so much for this! I learned a lot from this short video and decided to change my pricing and marketing strategy completely. I’m just starting, so this was perfect timing for me. Thank so much for the help! Cory, I looked up askaboutartlicening.com…It doesn’t seem to be available anymore… Her formal site artliceninginfo.com was sold. The ebooks on there she mentioned are not free. I dug out some previous blog entries by tara on the site few years ago, the audio calls links are not free either… unless I misunderstood or overlooked something, is there any free or inexpensive resources or ebooks about art licensing for artists to download? Thanks. Correct, ArtLicensingInfo.com is no longer owned by Tara. The ebooks on that site are inexpensive. I’d start there.